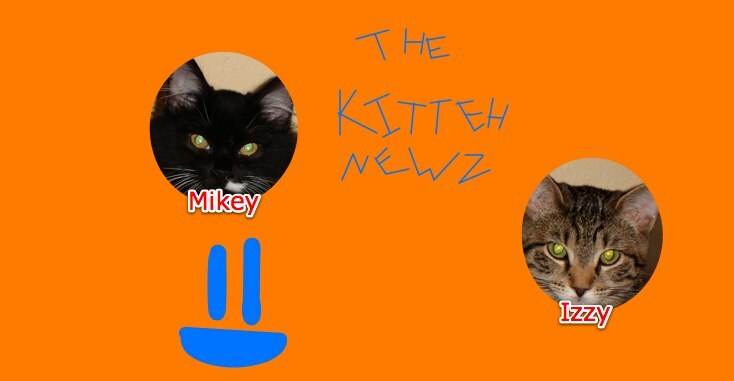 The Kitteh Newz: The "Cat Bat"
Hello again my readers! Can you believe it's already the 5th of May? Anyways, today I would like to tell you about the "cat-bat". The cat bat is something hilarious Izzy does, where she curves her paw and shoots it in the air and slowly pulls it back and... Well, why don't I just show you a picture to explain it? And then she super quickly scoops her paw down and bats whatever with the tip of her paw and extremely quickly then pulls her paw back up. It's soooo cute.